Here an SV650 parks next to a ZX6R and a few motards (dirt bikes with street-based tires). I often get asked from riders new to track days, what is the best motorcycle for riding on the track? In an effort to answer this FAQ, I decided to list some criteria for what I look for in a great track day bike. I’ll also list a few bikes I think are worth considering. Some people think that they need a dedicated track bike to do a track day. But, this simply isn’t true as long as you have a motorcycle that has a reasonable amount of cornering clearance. This includes most standard, sport, sport touring, adventure, and even touring machines. Cruiser motorcycles are probably the only machines that are not really appropriate for fast cornering and spirited riding. What this means is that many riders don’t need to buy a new bike to enjoy the benefits of riding on a racetrack. Many track day organizations require minimal preparation, so even that should not deter you from considering signing up for a track day. FZ-1s, VFRs, Ducati Monsters, ZRXs, all fit nicely at a track day. Even FJRs and Gold Wings show up from time to time. 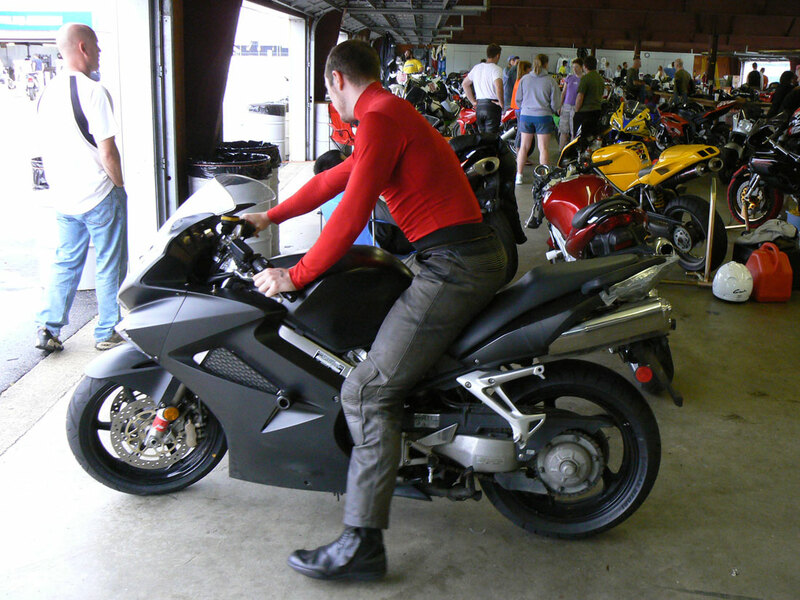 I helped start the non-sportbike track day trend in New England with Tony’s Track Days. These days are similar to regular sportbike days, but are geared more toward cruisers, ADV bikes and tourers. Read all about these events here. That said, there are a lot of good reasons for buying a dedicated track bike. One reason is that you can set it up for track riding by stripping unnecessary lights and street paraphernalia and mounting inexpensive and durable race bodywork. You can also add performance bits that are intended for racetrack use only, such as race tires, low clip-on handlebars and rigid rearset footpegs. Another reason is that you will feel free to push the limits, because you will be less concerned about potentially scratching your only motorcycle in a fall. See #5 below. Older 600s are cheap and reliable. Reliable- A machine that you can always count on to start and run reliably all day long, even at redline. This is why I don’t recommend dirt-bike based motards. Inexpensive- You don’t need a $10,000 machine to have a great time at a track day. 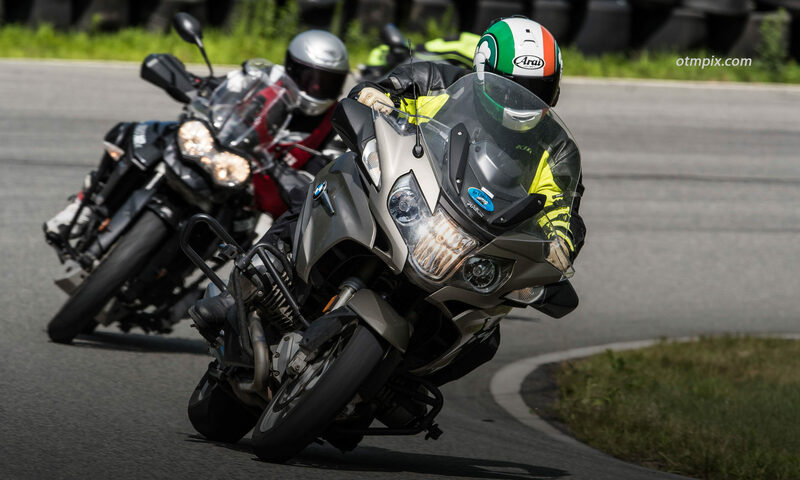 As a matter of fact, if you spend all your money on your bike, then you will not have as much money available for track day registration fees and top-notch riding gear. Another criteria that makes track riding a whole lot less expensive is if you have a bike that is easy on tires. Also, forgo unnecessary bling and wait until you have at least a few track days under your belt before you make any performance modifications. Suspension and brake mods are acceptable at any time, though. Ken battles for the lead on a $2500.00, 48hp MZ Scorpion 660cc single among a gaggle of EX500 ninjas. Cheap and fun! Not very powerful- A moderately powerful bike is one of the most important criteria for novice and intermediate track day riders. Even advanced riders will benefit from a low horsepower machine. I raced a 48hp MZ Scorpion as an expert and had a blast. And it cost me $2500.00. Just sayin’. See the article on the detriment of too much horsepower. See more below. Not precious- Many new track day riders suffer undue stress over the anxiety of crashing their beautiful, high-dollar, chrome and carbon laden street bike. 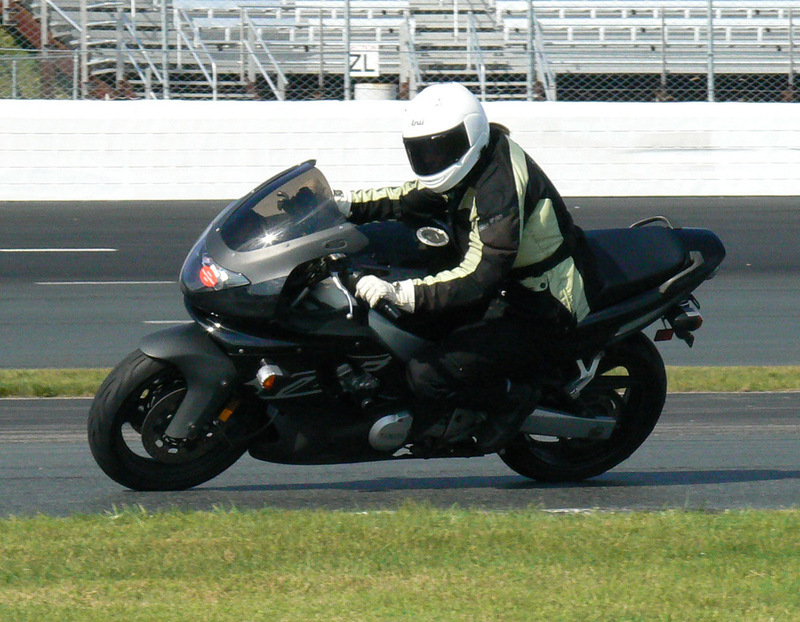 Thankfully, it’s easy not to crash at a track day if you ride within your ability. So, if all you have is your pride and joy, go ahead and bring it to the track, but at some point when you start pushing harder, you may want a dedicated track bike that has less sentimental value. 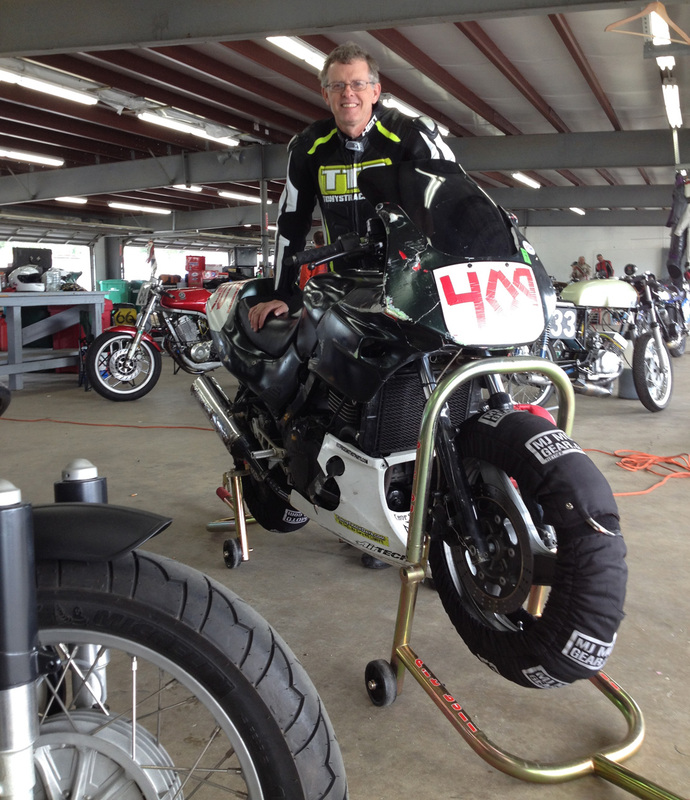 This 500 Ninja was a blast to ride on the track. Suzuki SV650– Inexpensive with plenty of V-twin power. Put some money into the front suspension and you’re ready to roll. A lot of fast racers choose the SV as a fun and competitive lightweight racing platform. Kawasaki EX500 Ninja– The venerable 500 Ninja has been a mainstay of lightweight roadracers in the Northeast for years. Really, really cheap. Just be sure you get a model with the 17′ wheels. Kawasaki EX650 Ninja– Similar to the SV650, but with a parallel twin motor. CBR600RR, ZX6R, R6, GSXR600, 675 Daytona, 675 Street Triple, and other 600-class bikes– The 600 class of bikes are the most prevalent bikes at a track day. They offer a good balance of power with very good suspension and brakes out of the box. These bikes aren’t the cheapest thing to run. They can eat up tires and crashing them can get expensive. Older CBRs, R6s, GSXRs and ZX6s can be had cheaply. Note, that if you want a track-only bike with race bodywork, premium suspension and bike protection, it’s often cheaper to find a bike that is already prepared and outfitted for track use than to take a street bike and converting it to a track-only machine. Just be aware of their condition. 250/300 Ninja– These bikes are a hoot, are cheap and plentiful. However, you may outgrow the sub-20 hp and limited tire selection after a season…or you’ll go all in and race in the growing 300 class. An older ZX6R and an FZ1. In many ways it’s great when a novice track day rider shows up with a brand new $20,000 rocket. We all love seeing riders who understand that these bikes are designed to be ridden on a closed course and often cause trouble when ridden on the street where their character begs to be ridden hard. But, these bikes can also be a hindrance to stress free learning. Many new track day riders are better off with a simple, low powered machine that keeps them running a bit slower until they can get a handle on racetrack riding. One reason my friend Josh was having trouble at his first several track days is because he was driven to ride his GSXR1000 faster than he should have. Read about Josh’s mishap. Of course, it doesn’t take a hundred-fifty horses to get into trouble. A well setup 70 hp bike like an SV650 can corner just as fast as a literbike, but the nature of the Gixxer liter bike often begs riders to unleash all the available horses. However, if what you have is a liter bike, don’t shy away from a track day. Just be extra aware of the temptation you can feel when piloting a hyper-superbike and keep the throttle in check. Read all about my own Triumph Street Triple R 675 track day bike and how I prepared it for the track. Check Out Ken’s new book, “Motorcycling the Right Way”.